MommyCraftsAlot: Pin it to WIN IT! There are 2 new tutorials up on my youtube channel right now. 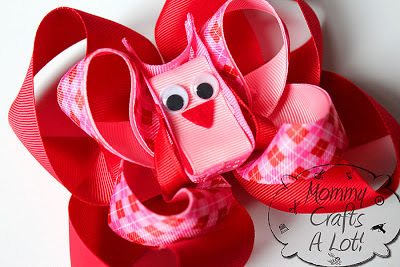 Now would you like to win the OWL hair bow at the top of this page? All you have to do is PIN THIS POST on Pinterest (sharing the tutorials). 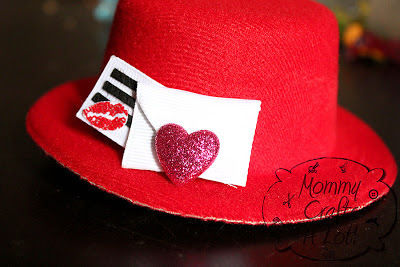 Once you pin this post add the hashtag #mommycraftsalot in the comment along with a description of the pin, of course. Come back here and leave a comment! One winner will win the OWL hair bow *above! Giveaway ends on Tuesday, February 5th. The winner will be announced here! Thanks so much! I pinned it and tagged it! LOL! Thank you for all the amazing tutorials! I dont know how to pin! HELP! I pinned and tagged it! Hope I win. Pinned, tagged & LOVE it! Pinned both of them!! hope to win! Hi! I don't see a winner? Hi. Who is the winner?